Before working on improving your SEO, it’s important to know how it’s performing in its current state. SEO audits are essential to help you discover both immediate problems along with potential issues. Performing a complete SEO audit is a long and often difficult task, but there are a few simple tasks anyone can carry out to gain an idea of the current state of your optimisation. The first step is to check your own website using multiple devices. Search for your site on your smartphone, tablet, laptop, desktop and a few Apple devices too. Additionally, search for your site using different browsers, including Chrome, Safari and even Internet Explorer. Yes, there are people using Internet Explorer! Make a note of problems you experience; these problems will need to be addressed to optimise your website for the search engines. You might come across problems with Flash on mobile (replace Flash with HTML5 if you want your site to work on mobile, which you do) slow loading pages, menus that won’t load and so on. When was the last time you updated your XML Sitemap? Have you even uploaded one before? 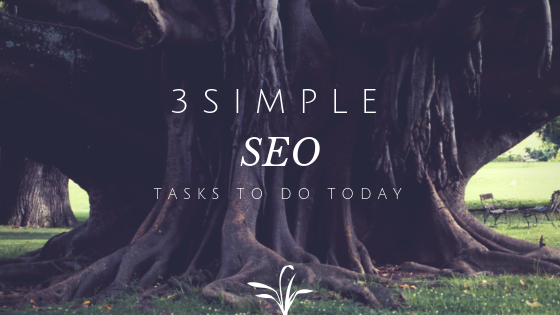 This is a job that is vital for SEO. The XML Sitemap is used by search engines to crawl your website. It’s a file that contains the layout of your site and it helps to show search engines the important areas and provide updated information on the latest pages that have been added. There are various websites and plugins you can use to create a sitemap or update your current map. Upload the XML sitemap to Google Search Console and you’re done, almost. Don’t forget to use the inbuilt reporting in the Search Console to spot any errors with processing that might need correcting. Make a note of these errors as they will need addressing. Update your sitemap when you add important pages to your website that will help the search engines to understand and correctly index your website. You can check how your website is performing with Google Search Engine Console. This is a great starting point as you’ll be given notifications of any errors on your site within the dashboard of the console. Sign up to your free search console, add your website and make sure you get it verified as it won’t work until you do. Would you prefer to pass SEO over to the professionals? Give us a call, we have multiple SEO services in Worcester, available for businesses of all sizes.